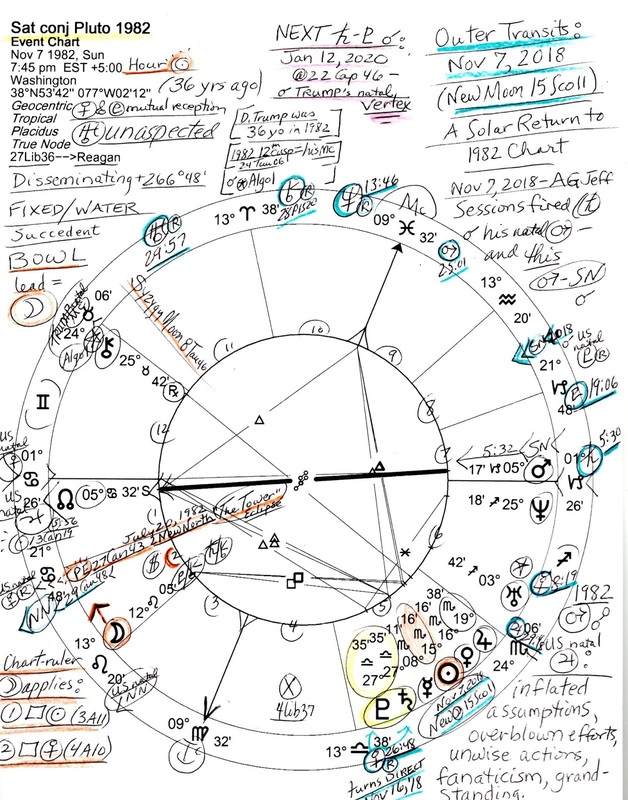 Because we remain in the Saturn-Pluto cycle which began on November 7, 1982, as shown by the fact that we're still living in the Reaganomics wealth-favoring economy, below is a DC Horoscope for the planets' exact meet-up in 1982 with November 7, 2018 transits penned around the chart (highlighted in turquoise blue). Significantly, November 7, 2018 was the day of a New Moon @15Sco11 which basically timed a Solar Return to the 1982 Saturn-Pluto chart and, as with all new moons, suggests the seeding of new ideas and/or plans as a new cycle of activity begins. The January 12, 2020 horoscope follows. This November 7th New Moon resonates with Democratic victories at the 2018 Midterms on Nov 6th so that Republican control of the three branches of government will end once the new 116th Congress is sworn in on January 3, 2019 (last I heard, Jan 3rd), the start of a new congressional cycle. 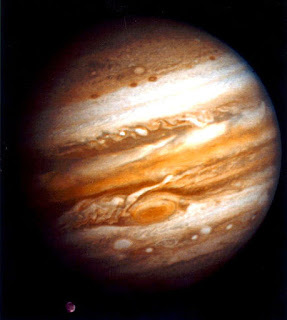 Plus, any conjunction of planets is a 'new moon' within that pair's cycle and 'peaks' of activity may be followed by the planets' sextiles, squares, trines, quincunxes, and oppositions subsequently issuing from the conjunction which starts a particular cycle's 'cosmic clock' ticking toward the next conjunction. Round and round we go! So as you know, in late 2018 we are nearing the close of the current 1982 Saturn-Pluto cycle (appr 33-38 years' duration) with their January 12, 2020 conjunction coming sooner than we'd like for its 'new social order' implications. 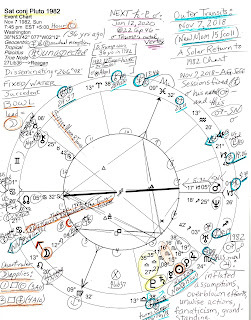 Below is the 1982 horoscope, then the upcoming 2020 chart with brief notations included. The Leo Moon is chart-ruler in the November 7, 1982 horoscope (Cancer rising) with the Jupiterian North Node conjunct US natal Jupiter (5Can56), a double Jupiter inference, plus, the Moon also rules the 2nd house of Money, Earning Ability, and Possessions (cusp 21Can48). Busy Luna in Leo leads a a BOWL formation of all the planets denoting an advocacy of a cause or a mission to fulfill; as chart-ruler the Moon and applies twice: 1. 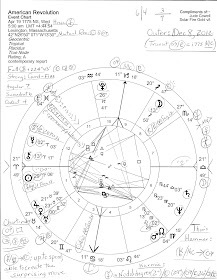 Moon square Sun (15Sco16 as noted, Sun is in 5th house of Risk-Taking and Gambling and conjuncts Reagan's natal Jupiter in mid-Scorpio as does Venus, another money planet); the square suggests potentials for conflicts between leadership/authority figures and the people/the public, distorted information and propaganda, and much frustration--self-control and hard work are needed; 2. Moon square Venus which denotes distortion of priorities, rebellion or defiance within relationships and diplomacy, illicit alliances, and a sense of being threatened or intimidated. 2020 minus 1982 = 38 years - half of which = 19 years so I'd say the first half of their cycle ended in or about 2001 just in time for the New Millennium to begin; therefore, we're in process of winding up the Moon-square-Venus phase now. Setting on the 1982 Descendant is testy warrior planet Mars @5Cap17, so recently limited or restricted by transit Saturn in its own sign of Capricorn which is always a difficult placement for the old man financially. Saturn-to-Mars indicates a period when taking shortcuts or circumventing rules, laws, or regulations is ill-advised (tell that to Trump! ), and there are difficulties in relationships with males--or they may break off entirely (ex: former AG Jeff Sessions fired--5Cap is his natal Mars positionand he was born in 1946 with a Saturn-Pluto conjunction, both Rx in Leo!). 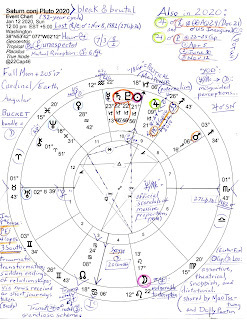 Also, Mars @5Cap17 opposes US natal Jupiter (see details on the chart, lower right). 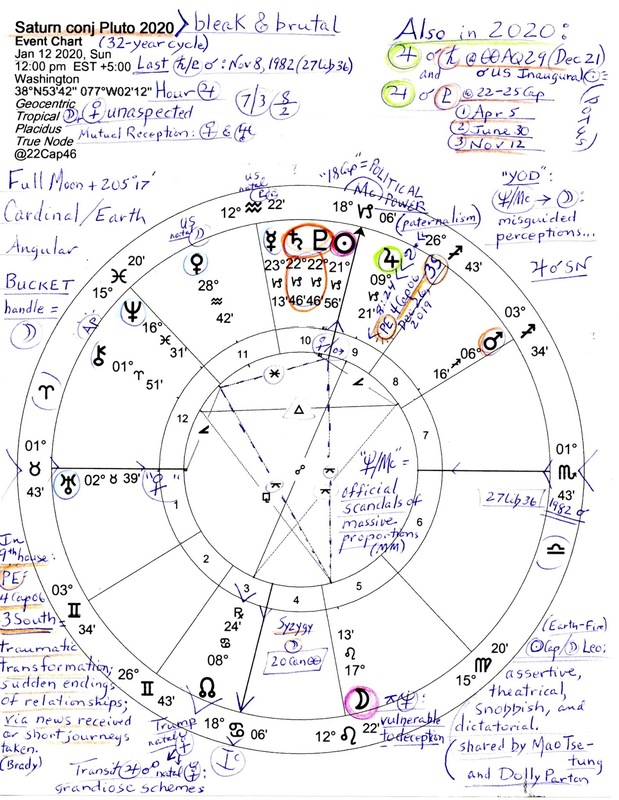 Check the 1982 chart's 12th cusp (24Tau06) and you'll see Trump's natal Midheaven (The Goal; Aspirations; Career) conjoining 1982 wounded-wounding Chiron upon the 12th cusp of Politics and Karma (also where raging star Algol resides). Comparing both conjunctions and eras, we now have Saturn and Pluto energies combined in Airy Libra--on the mental or intellectual plane where theories cavort--and describing current trends (a la Reagan, as previously noted) but we will meet compressing Saturn-Pluto energies within the pragmatic Earth sign of Saturn-ruled Capricorn as of January 2020, not the best portent in the social or financial areas of life. That more 'earth changes' and shifts will ensue seems a given to me, how about you? Especially since foreign and domestic corporatists have plundered and mined Earth's natural resources to our detriment. Then as you see, the transiting North Node, the 'head of the dragon', is at 29Cancer, a critical 29th degree, and will soon conjoin the degree (27Can43) of the 1982 Saturn-Pluto conjunction's Prenatal Eclipse ('PE') which occurred in the 1 North Saros Series on July 20, 1982. This, I should inform you, is 'The Tower' Eclipse under which we now labor for a subsequent eclipse manifested in the 1 North series on August 11, 2018 @18Leo41. 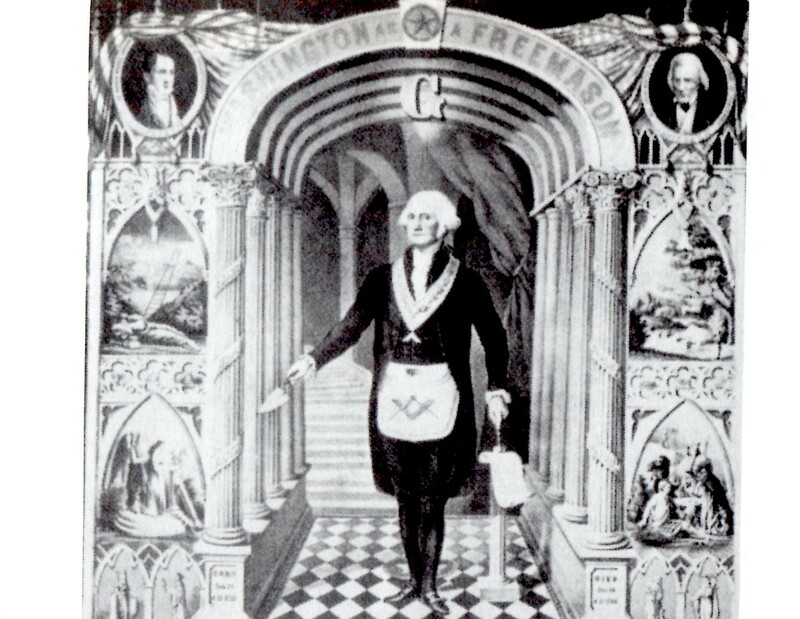 'Collapse of structures, lifestyles, and plans', plus,'rebuilding', are the themes of 1 North (Brady) as we've discussed in several recent posts so if you type 'Eclipses' in the sidebar search field you'll discover a plethora of posts concerning these 'cosmic blinks' of the Universe. Or, tap one of the labels below this post. You know, it always amazes me that many folk assume that God isn't watching events on planet Earth yet if they attended the sight of a Total Solar Eclipse they could sense His 'blink' if they had any sense at all! Be that as it may, both Saturn and Pluto are slow moving karmic planets which influence many levels of societies the world over, and it can be instructive to consider historical events of November 1982 (and all of 1982). These include Nov 3: the DOW soared to a record high, the first time since January 11, 1973; Nov 12: former KGB head Andropov succeeds the deceased Brezhnev as secretary general; Nov 13: in Washington DC the Vietman Veterans Memorial is dedicated; and Nov 28: 88 countries send representatives to a meeting in Geneva to discuss world trade and free trade issues. Here's a more complete list for the entire year. For further details see Horoscope: The Saturn-Pluto Conjunction of 2020.